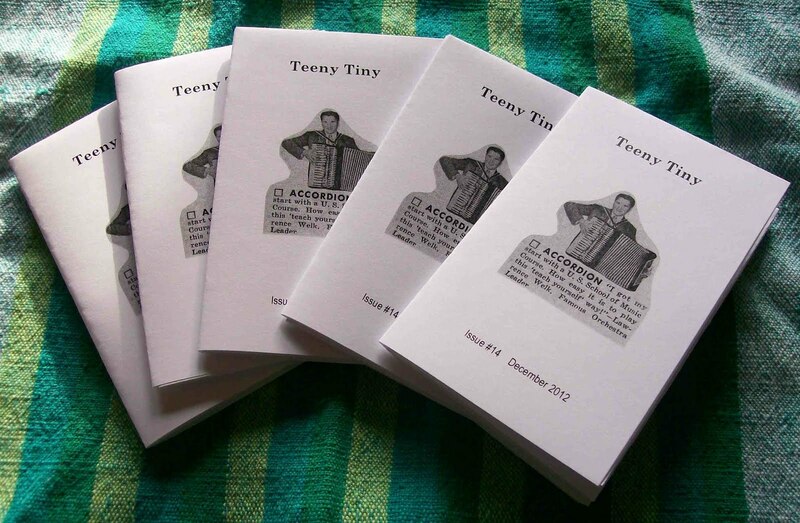 Yesterday, I did the cutting-and-pasting process of laying out issue 14 of Teeny Tiny. I'd had the written content ready for a while, but I hadn't managed to finish the zine! Well, it takes a little concentration, as I like to find a nice combo of images to go along with the writing I'm publishing, and this issue contains work from seven different writers. I used a selection of bits and pieces from two vintage issues of Hit Parader magazine from the 1950s. Have you ever seen old issues of this magazine? Basically they printed the lyrics to popular songs and then also included some profiles of pop stars and maybe some articles with tips on beauty and so on. The magazines have some fun little advertisements, especially toward the back, with illustrations that are just the right size for my zine. I also used a couple of pictures cut from a book on the solar system I bought at the thrift store some time ago to use for the greeting cards I make with images of the moon and sun and stars and so on. 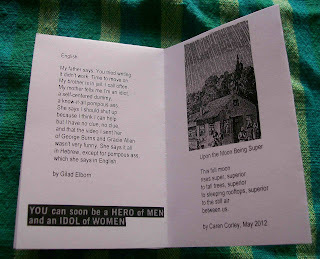 Interestingly, the poems in this new issue of the zine mention the moon and sun and stars as well--it wasn't a thematic intention, but something I noticed as I was gluing the poems into place. While one poem focuses on the "super moon" we experienced earlier this year, the other poems just mention celestial elements. Well, if you'd like a copy of issue 14 of Teeny Tiny, you can order one through my Etsy shop. I'll surely send you something else along with the zine, like a copy of another tiny publication or a magnet or who knows what...? I've been thinking it would be cool to write a little sequence of poems using text from Barbara Pym's novels if for no other reason than to encourage people to read her work. 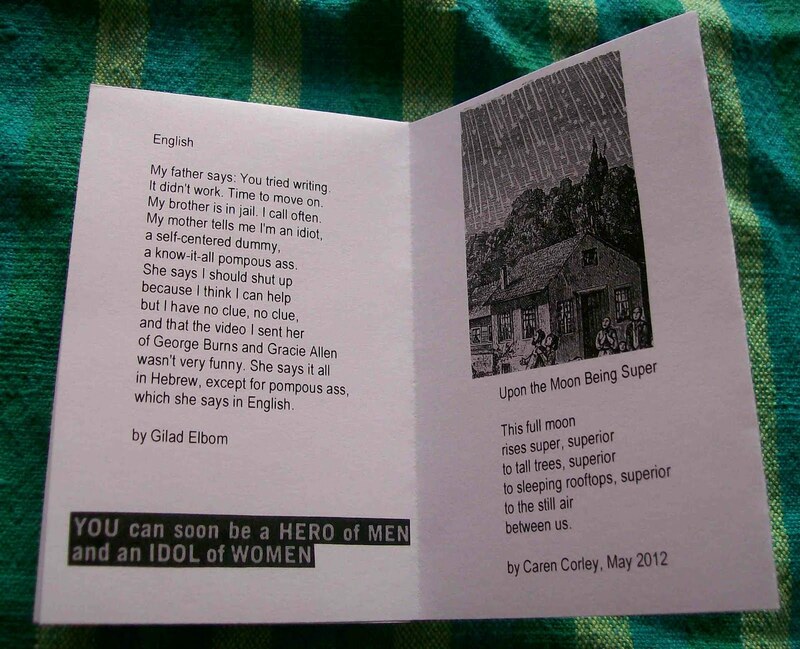 Usually I don't write found poems from other published creative works--I use postcards or advertisements or other work that wasn't crafted to stick around. But I just like her work so much that I'm enjoying sharing little pieces of it in poem form. Anyway! Here's a second little poem inspired by Jane and Prudence, this one from chapter 17. Nothing seems real, Prudence thought. something nice to read?" Jane asked. "Yes, thank you. A novel." if your novelist should fail to charm or soothe." I am drained of all emotion, Prudence thought. "I think I'm quite ready for bed." 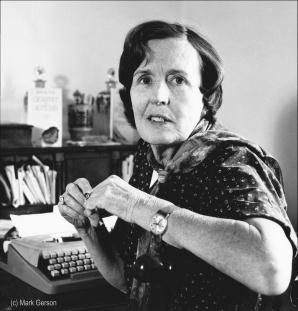 When I read Barbara Pym's novels, I feel sad that she isn't alive to write more of them and that I'll one day run out of new-to-me Barbara Pym novels to read. There's something about her writing that captures the feelings and thoughts of someone who feels just a little outside of the mainstream, someone who can't help but notice the odd bits and pieces of life. Right now I'm reading her novel about two friends, Jane and Prudence, and enjoying it very much. Here's a tiny found poem I put together from just a handful of sentences from the first page of chapter one of that book. "Ah, these delphiniums," sighed Jane. I was posting so regularly for a while! Well, it's hard to keep up a strong pace when you're busy grading final papers and calculating final grades and so on. Now I have a break until January 2. Maybe I'll even write some poems--I hope so! Recently, I wrote a little article about creativity and posted it at ezinearticles.com. I thought it might be a good idea to try posting my work elsewhere and maybe connect with a new reader or two. Here's the link to my article on three easy ways to increase your creativity.